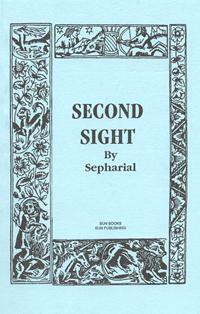 SECOND SIGHT - A STUDY OF NATURAL AND INDUCED CLAIRVOYANCE by Sepharial. The Scientific Position, Materials and Conditions, The Faculty of Seership, Preliminaries and Practice, Kinds of Visions, Obstacles and Clairvoyance, Symbolism, Allied Psychic Phases, Experience and Use. 96 pgs. 5x8. Paperback. ISBN: 0-89540-205-X. $8.50.